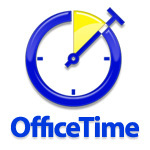 The folks at Transcena Design are extending a special discount price to Mac User Group members on OfficeTime, their full-featured time tracking application. Tracking time just became easier for Mac users converting to Leopard, OS X 10.5. OfficeTime’s latest release (version 1.3) now offers full Leopard compatibility with iCal synchronization for a visual display of your workday. iCal synchronization continues to be supported on Tiger and older versions of Mac OS X. Until May 1, MUG members can take 15% off the regular price of OfficeTime, either individual or multi-license copies by using the special user group discount code. A report of your time is one thing. A visual display of what you’ve been working on is empowering. See all of your trackable time laid out inside iCal automatically with seamless synchronization with OfficeTime. This is true calendar synchronization. You don’t just export or import from iCal like many other products. Make an event in iCal and it appears instantly in OfficeTime. Edit the event in either program and your change is automatically reflected in both. Using iCal’s Day View, you can visually see missing gaps in your day from your OfficeTime recordings. Make a quick adjustment or add a missing event and your changes are automatically updated to OfficeTime. OfficeTime will even apply the correct category and hourly rate based on the project calculating your billables for the day, week or month. Once in iCal, Apple’s Sync can send a record of your time to your iPod, iPhone or other handheld devices. So, when you are on the go, you are still in sync. 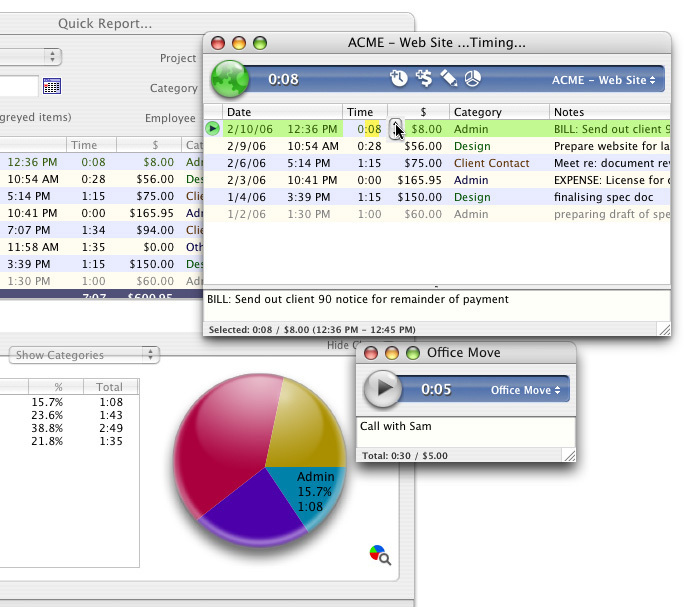 With 2-way synchronization, OfficeTime easily updates changes made out of the office back into your project. In keeping with OfficeTime’s overall design philosophy, you don’t have to think about iCal synchronization. It just works. Intuitively and invisibly. 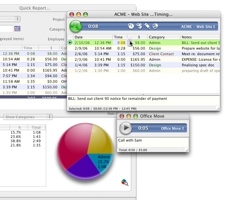 Find out why teams, consultants and freelancers rely on OfficeTime’s ease of use: intuitive reporting for individuals and teams, quick invoicing, and full Leopard compatibility. Transcena Design Inc., a busy web and applications development firm, needed to track its employees’ time. When they couldn’t find a full featured tracking application with ease of use, this 17-year old agency (with a zest for clean design and usable interfaces), decided to build a time-tracker from scratch. OfficeTime is their answer for an intuitive solution. To get the discount code, email The MUG Center with your group’s URL and current president and we’ll email the code back to you. This MUG Center-exclusive offer is available to MUG members anywhere in the world, and is ongoing.